There is an almost unlimited source of free advice about which vitamins and herbs are useful for medical problems. Be aware that very little of this information has been proven to be reliable or accurate and some supplements may in fact be harmful (it was recently shown that taking anti-oxidants like beta-carotene actually increase cancer in smokers, see study). There is also evidence that anti-oxidants should not be taken during chemotherapy or radiation (see report) . A recent study showed a benefit from pomegranate juice for men with prostate cancer (go here), but the recent NCI trial showed that taking a lot of multivitamins increased the risk of dying of prostate cancer (go here). For a discussion of anti-oxidants go here. Another study showed that taking folic acid may increase the risk of advanced cancer (go here). At the end of the latest trial, half of those taking St John's wort (61 out of 122) found that their depressive symptoms were in decline, but only a third of those on paroxetine (Paxil) (43 out of 122) -- as a widely-prescribed antidepressant drug -- went into remission. Black cohosh, an herb widely used by breast cancer patients to alleviate hot flashes and other menopausal symptoms, may alter the way that cells respond to drugs commonly used to treat breast cancer, according to a Yale School of Medicine study in Breast Cancer Research and Treatment. the herb is being widely used by and recommended to breast cancer patients who are experiencing menopausal symptoms due to removal from hormone replacement therapy or to the effects of their therapy. In this study black cohosh increased cell killing by two of the drugs, decreased the effectiveness of one drug, and did not alter the effects of radiation or a fourth drug. Why each agent responded differently needs to be studied further, she said, but enough is known about the herb's effects on cancer cells to caution patients about using and other over the counter agents without consulting their physicians. "Our studies caution that black cohosh should not be considered to be a harmless herb that is inconsequential to the health of cancer patients or to the outcome of conventional cancer therapy," Rockwell said. Evaluation of shark cartilage in patients with advanced cancer. Shark cartilage has been a popular complementary or alternative medicine intervention. The basis for this popularity is the claim that sharks rarely get cancer because of the high proportion of cartilage in the shark's body. However, early studies were equivocal. Therefore, a clinical trial was conducted to look at the impact of shark cartilage in patients with advanced cancer. The primary goal of this trial was to determine whether a shark cartilage product improved overall survival for patients with advanced cancer who were getting standard care. Secondary research goals were to evaluate toxicities, tolerability, and quality of life associated with this shark cartilage product. The study was a two-arm, randomized, placebo-controlled, double-blind, clinical trial. Patients with incurable breast or colorectal carcinoma had to have good performance status and organ function. Patients could be receiving chemotherapy. Patients were all to receive standard care and then to be randomly selected to receive either a shark cartilage product or an identical-appearing and smelling placebo 3 to 4 times each day. Data on a total of 83 evaluable patients were analyzed. There was no difference in overall survival between patients receiving standard care plus a shark cartilage product versus standard care plus placebo. Likewise, there was no suggestion of improvement in quality of life for patients receiving the shark cartilage, compared with those receiving placebo. 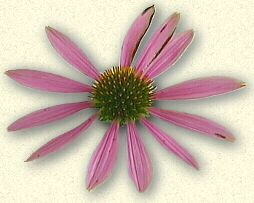 Echinacea has been widely used as an herbal remedy for the common cold, but efficacy studies have produced conflicting results, and there are a variety of echinacea products on the market with different phytochemical compositions. We evaluated the effect of chemically defined extracts from Echinacea angustifolia roots on rhinovirus infection. A total of 437 volunteers were randomly assigned to receive either prophylaxis (beginning seven days before the virus challenge) or treatment (beginning at the time of the challenge) either with one of these preparations or with placebo. The results for 399 volunteers who were challenged with rhinovirus type 39 and observed in a sequestered setting for five days were included in the data analysis. Results There were no statistically significant effects of the three echinacea extracts on rates of infection or severity of symptoms. Similarly, there were no significant effects of treatment on the volume of nasal secretions, on polymorphonuclear leukocyte or interleukin-8 concentrations in nasal-lavage specimens, or on quantitative-virus titer. The results of this study indicate that extracts of E. angustifolia root, either alone or in combination, do not have clinically significant effects on infection with a rhinovirus or on the clinical illness that results from it. Our study, however, adds to the accumulating evidence that suggests that the burden of proof should lie with those who advocate this treatment.